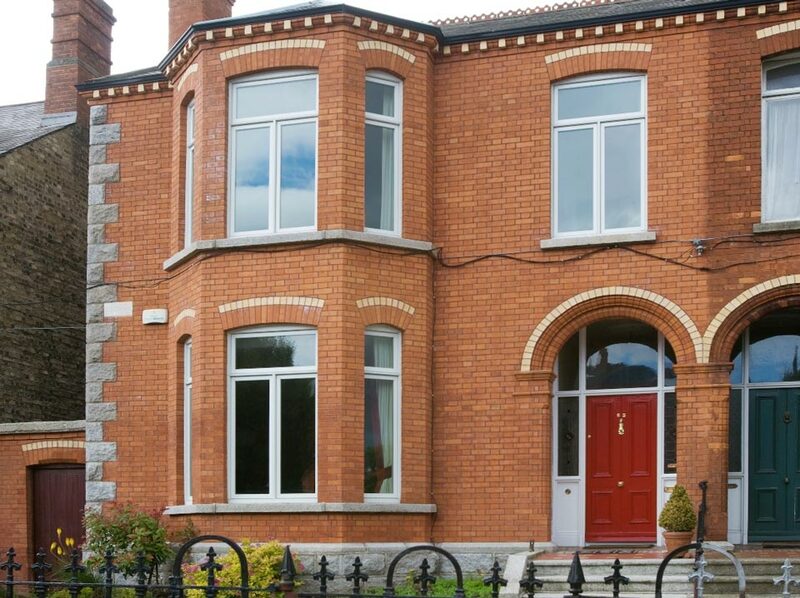 Traditional casement windows replacement in Edwardian style House approved by the Conversation Section of Dublin City Council. Built in the Edwardian style, this home on Brighton Rd. is a spacious 3000 sq ft. home, 4 stories high with classical proportions including high ceilings, gracious reception rooms at first floor level and a kitchen/family room in the basement. The window style is typical of the Edwardian period: the emphasis on long casement windows with awnings above. The main feature on the front elevation is the substantial double bay window on first and second level. Before the owners replaced their window they found that the PVC windows they had in place had dramatically reduced not just the style but also the overall quality of their home. 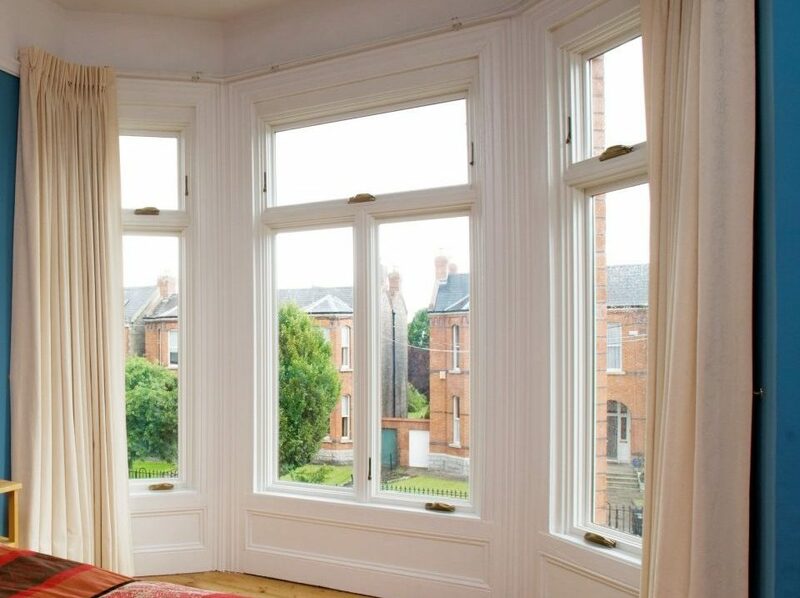 Signature Windows could deliver on their window needs both aesthetically and functionally: The Signature casement window with awning above matched exactly the original window profiles with opening and operating sashes fitting neatly inside the frames providing for continuous sightlines and approved by the Conservation Section of Dublin City Council. The particular detail Signature could reach on was the layered wooden mullions at the 45 degree returns on the bay windows. This was further enhanced with the extended wooden architrave around the frames which was completed by the Signature installation craftsmen. Signature Painting Division took care of the painting. To the rear of the home the clients used Sliding Sash windows. These timeless classics feature full frame construction and dual operating sash. On a practical level the owners were only too aware of the cost of heating their home. Signature’s Low-E glazing provided the answer to this problem ensuring a significant reduction in heating bills. The traffic noise was also dramatically reduced with the high performance acoustic insulation. All the units were custom crafted ensuring that the authentic feel of the home was restored to its former glory. The high performance of the units provided the comfort factor the owners sought. "Quality, superb and a complete transformation in terms of comfort and style". Homeowners description regarding the outcome of their refurbishment. Large Edwardian Red Brick Semi Detached. Custom Painted Signature Casement, Awnings and Sliding Sash. M.A. and the clients approached D.C.C. and provided detailed drawings of the proposed, new windows. They were an identical match to photos of the original windows in the house next door.